Yeah I’ve tried reading the thread and the wiki but I can’t figure it out. Guess I’ll check back in a while. you are using the “old” way of configuring the component. and you also need to remove the config entry you posted above. restart and it hopefully will work. Ok, I’m pretty sure your problem is that you copied the code from the github incorrectly. When you go to the github code page for each file you will find a “raw” button at the top of the code box. Click it. It will then open another window with just the code in it. Copy all of that content and put it into your file and then save it. Do the same for the other files. restart HA with the correct config code above. just updated mine. getting no errors however my TTS is not playing on my echo devices. it was working fine until this new version. I’m pretty sure you’re not supposed to add the word “Alexa,” to the routine. Failed to call service tts/undefined_say. Do you have the following set up in your card? What can you do with that in the minimediaplayer lovelace card? Does it show you the tts message that was send last to alexa? i get an error in my config when checking??? I haven’t used it, but my understanding is it exposes a TTS box in the player that recognizes how to use alexa_tts. The default card assumes you have a tts component which can pass a file to the media_player which won’t work for Alexa. Please set the config settings in the mini-media-player card. Please properly quote the relevant configuration so we at least have a chance to debug the problem. Without proper quotes and context of where you put it, it’s nearly impossible to debug. I can’t tell if you made changes to the alexa_media platform, which is the completely wrong place or the mini-media-player card. I also can’t tell if you have the right indentations or not. I always downloaded the files directly and it worked for me every time. Don’t see the difference. 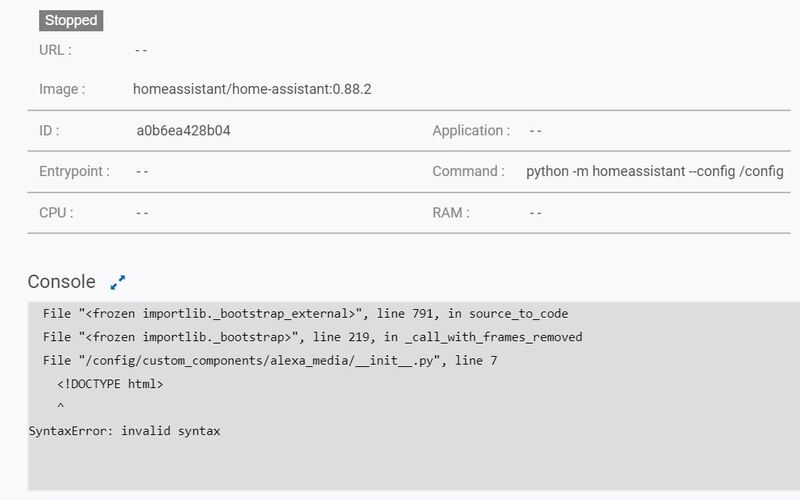 @alandtse Did anything change with the alexa_tts service call in or after v1.0.0? Doesn’t seem like it from reading the docs. Some users can’t seem to get tts working together with the mini-media-player card anymore. Could be caused by invalid card configurations, but I can’t test myself since I got no echo devices.